The Garden hypermarket was the first hypermarket in Russia, and was opened on March, 29th 2007. 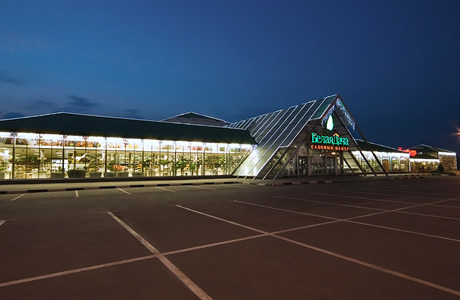 It houses more than 60,000 items of plant and vegetable produce. 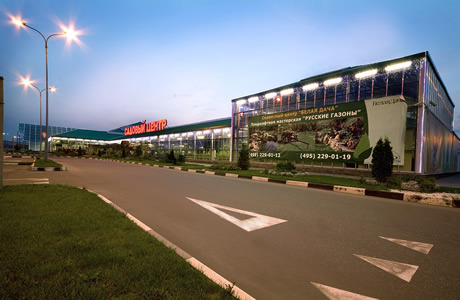 It also accommodates the biggest horticultural centre in Russia which also offers birds and aquarium fish. 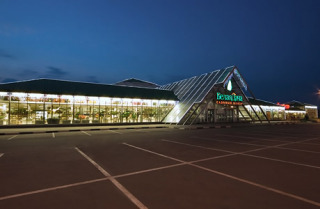 A pets store and landscaping center are all placed in a 10,000 sq.m building. The project was designed by French architect Michel Grizzo, one of the few world specialists in glass construction design. 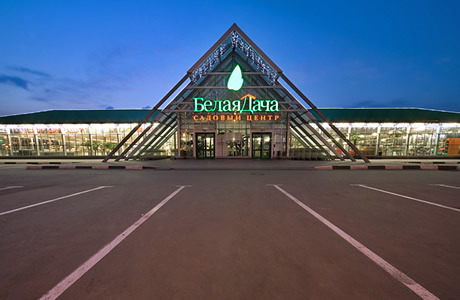 Belaya Dacha Development was responsible as the general contractor and Teplichnye Technologii Company participated as the Prime Contractor. 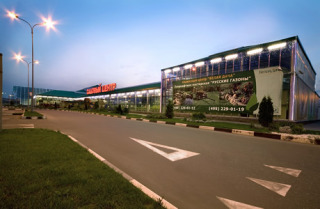 Garden hypermarket was constructed within 5 months at a cost of $ 25 mln.